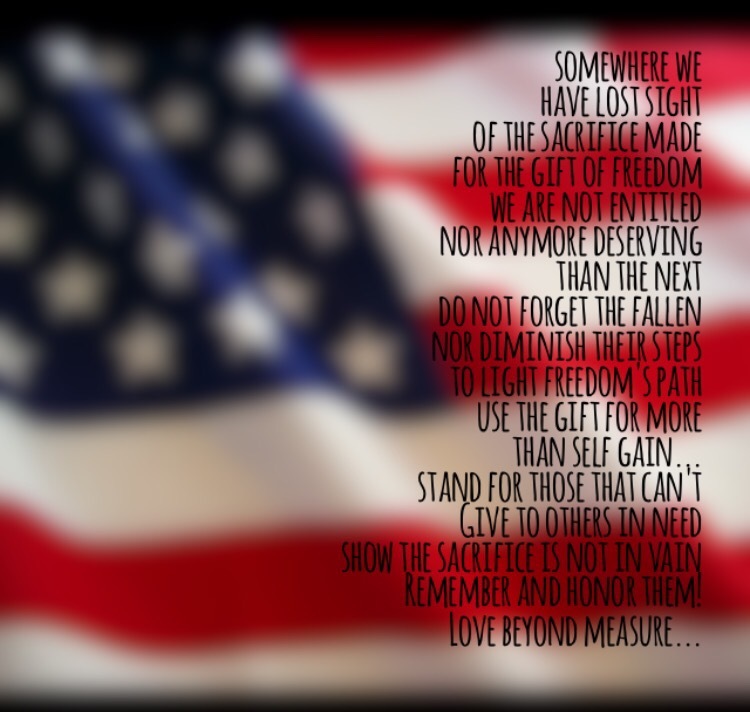 Im sitting here thinking of what this day is for and it has nothing to do with bar b que or beer, but has everything to do with remember those that have sacrificed their lives, their limbs, their mental health, forever changing their family’s landscape so that others may live in freedom. And so that you can sit in nature, with your family, without constraints, regardless! My son is boot camp as i type this, training his body, his mind to prepare for unseen wars… this is so frightening for a mom and yet, i am so very proud of him!